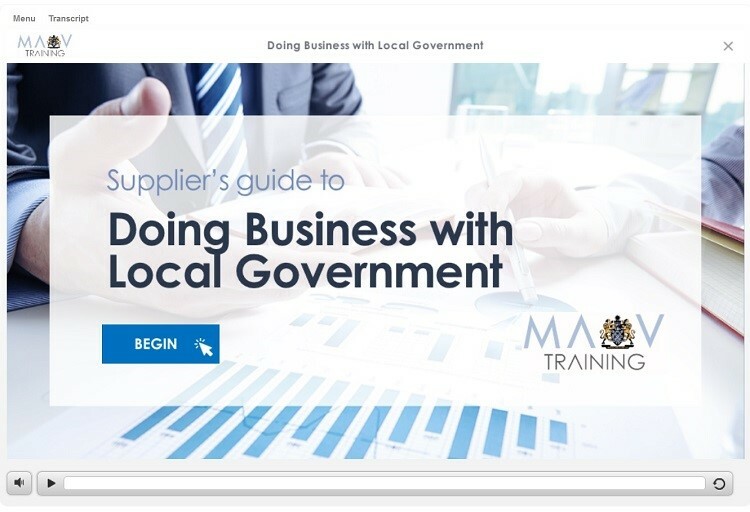 Doing Business with Local Government eLearning tool was developed to assist suppliers in building a successful, long-term relationship with local government. The program examines the role of procurement within local government, and the guidelines and legislation which councils ust adhere to when making purchasing decisions for goods and services. The session explores the different methods of procurement, factors in procurement decisions and non-negotiable factors which are expected to be provided by goods and services suppliers. Know other factors which councils take into consideration when comparing suppliers. To begin the Doing Business with Local Government module, click on the image below and the course will open in a new window.